New research reveals why and how women’s achievements are devalued compared to men’s, and how this damages women’s career paths. I am regularly asked questions about what it’s like to be a young woman in academia. Usually I find this surprising, in that I experience my own workplace as generally inclusive and meritocratic. Even so, we can’t sweep under the carpet the fact that gender equality in professorial positions and other prestigious appointments is a distant ideal, and this has given rise to the impression that academia is dominated by middle-aged and older men. The problem is particularly acute in technology, economics and the natural sciences, despite the predominance of women in large parts of the educational system. But this predominance is not reflected at the top of the pyramid. What is the reason for this gap? An ever-growing field of research provides solid evidence of the invisible norms that shape our views of women’s competence and achievements, , which in turn hamper women’s career prospects. This research shows how the aggregate effect of cognitive misconceptions based on gender – even though they may be subtle and often even subconscious – is that women will always have a slightly steeper hill to climb. Perhaps unsurprisingly, researchers have a particular interest in what is going on in their own sector, and many of these studies focus on the issue of gender differences in academia. But the underlying mechanisms that these studies reveal are also very relevant to other sectors and society more generally. The following provides an introduction to what we now know – and what this knowledge tells us about possibilities for change. It is still the case that the qualities needed to be a competent researcher are associated with men. Underlying and deeply embedded ideas about women’s and men’s roles in society are surprisingly robust, despite decades of improved gender equality, and they also influence our ideas about how we think things ought to be. Since these gender stereotypes shape our expectations, they also influence our perceptions and evaluations of women’s and men’s achievements. In many countries, student evaluations of lecturers are used regularly as the basis for salary reviews, promotions and appointments. On average, men do better than women in these reviews. Among other things, we see a long series of examples of how women’s analytical abilities and professional competence are undervalued. This emerged very clearly in an experiment where students from the University of Zurich were asked to participate in a mathematics project, and then to assess the competence of the other participants. On average the participants assessed the male participants as more competent, even after they were informed that one of the female participants had performed better from an objective perspective. A similar dynamic is revealed in a recently published study of publications in economics journals, which shows that women are judged by higher standards. In academia, we also see that letters of recommendation written for women tend to emphasize personal qualities such as friendliness and social skills, while letters written for men emphasize intelligence and analytical abilities, which in turn have proved to count more positively in future appointment processes. Perhaps this “disparagement mechanism” emerges most clearly in student evaluations of lecturers at university colleges and universities. In many countries, student evaluations of lecturers are used regularly as the basis for salary reviews, promotions and appointments. On average, men do better than women in these reviews. It can be tempting to think that such results are the outcome of women’s actual performance or qualities. Although our basic assumption is that women are just as professionally competent as men, we might imagine that a lecturer’s appearance or self-confidence could influence the students’ impression of their lecturer, and that this would be reflected in their evaluations. But recent research suggests that the reason is quite simply the lecturer’s gender. In the United States and France, experiments have been conducted based on online courses given by lecturers with hidden identities, where a random selection of students were informed that the lecturer was a woman, while the others were informed that the lecturer was a man. The researchers discovered that the students who thought that the lecturer was a man gave far better evaluations after the course had finished than the students who thought that the lecturer was a woman – even though the two groups of students had been taught by exactly the same lecturer and had received exactly the same lectures. In other words, the only factor that distinguished the superior evaluations from the inferior ones was the lecturer’s (stated) gender, which shows that simply being female is enough to leave students with a worse impression. We have long known that women are often penalized for choices or actions that have no negative effects for men. Having children, for example, is considered far more negative for a female job applicant than for a male. Or behaving in an overly direct and dominant manner at work, which is seen as negative for a woman, but positive for a man. On average, women perform better at university, but very high grades do not necessarily give them an advantage in the battle for jobs. To this list of “punishable offences” we can now add professional collaboration and academic achievements. A study of career paths in the field of economics shows that if women and men collaborate on research projects, the women will receive less recognition for their work than their male colleagues. This will have obvious consequences not only for the female colleagues’ reputations, but also for their recruitment prospects and future careers. But that’s not all. A newly published study by Natasha Quadlin at Ohio State University shows that women are also penalized for getting better grades at university. On average, women perform better at university, but very high grades do not necessarily give them an advantage in the battle for jobs – in fact quite the opposite, according to Quadlin’s experiment, which involved the submission of fake job applications to investigate whether grades and experience led to different results if the “candidate” was stated to be a woman rather than a man. She found that women with very high grades were less likely to receive a response to their job applications than men with very high grades or women with inferior grades. There has been speculation that women’s strong achievements in the education system can be partly explained by anticipated discrimination. In other words, women may work particularly hard at their studies in order to perform as strongly as possible, because they expect to be undervalued in the labour market compared to their male counterparts. In this case, it is disheartening to see what outcome this may have in practice. Men develop close social links with other men, just as women do with their fellow women. Since men are in the majority in the most influential senior positions, these links facilitate a situation where young men gain an advantage in the contest for important insider tips. In order to succeed, one needs knowledge about the route to success. It will no doubt always be the case that much of this knowledge is disseminated through informal social networks and perhaps even through friendships. The problem arises because these networks are built on the basis of similarity: men develop close social links with other men, just as women do with their fellow women. Since men are in the majority in the most influential senior positions, these links facilitate a situation where young men gain an advantage in the contest for important insider tips. In addition, one would expect these links to boost younger men’s access to research projects and valuable collaborations, as well as recruitment opportunities. Many women in different areas of working life have identified the feeling of sitting on the sidelines of those arenas where power and influence are handed down from older to younger men, for example at after-work drinks. In other words: what doesn’t happen is at least as important as what actually happens. Now we also have research that supports the significance of networks and close interaction with more senior colleagues. 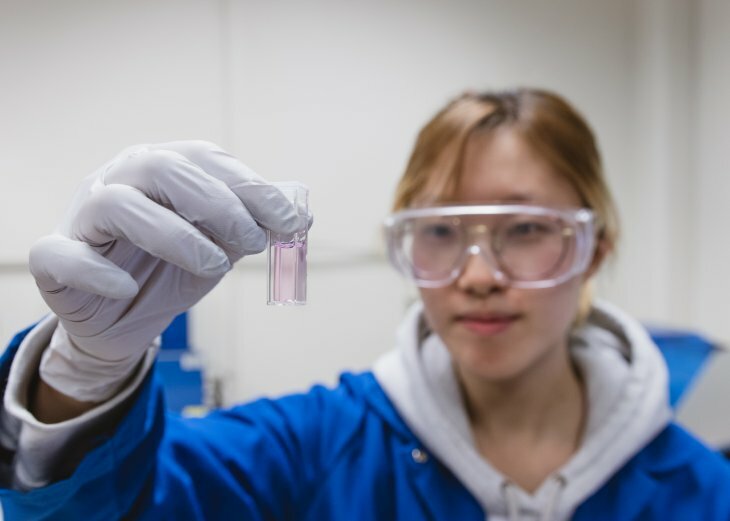 The American Economic Association recently conducted an experiment based on its mentoring programme for young female researchers and students. Among a group of 400 female junior researchers, a randomly selected 50 percent were allocated female mentors, while the remainder had to get by without a mentor. The researchers found that the female researchers who were allocated mentors performed far better in retrospect. They got better jobs, published in more prestigious journals, and received more research funding. We can quantify gender differences in respect of salaries, appointments, and senior positions, but it is far more difficult to measure the invisible mechanisms that shape an individual’s opportunities, which may even be subconscious, but still just as powerful. It has long been claimed that younger men’s access to interaction with male senior colleagues helps to improve their careers, but this study shows that the importance of such contacts can in fact be quantified. What role can gender equality policy play when much of the problem is inside our heads, rather than being structural? This is only a small part of a large and growing body of research literature which shows that women will encounter a long series of obstacles, at various stages of their careers, that will affect opportunities to collaborate, gain recognition, have positive internal evaluations, and ultimately also to win jobs and promotions. This may make gloomy reading for those of us who like to think that there is a one-to-one relationship between competence and reward. But it is also promising that there is less and less ignorance about the influence of these mechanisms. These insights can contribute to explaining why men continue to dominate the most lucrative positions in academia, but also why there has proved to be a gender gap in the gold standard for performance and recognition in academia, namely scholarly publications. What are the implications of these findings? Of course, there are biological differences between women and men, and one can never stop such inherent differences from influencing interests and career paths. But this research contributes to strengthening the impression that at least a part of the gender differences we see in working life today are driven by underlying norms. In addition, these are barriers that have nothing to do with women’s qualities (or deficiencies), but with societal norms more generally. An important point is that these barriers consist of implicit, and perhaps even subconscious, misconceptions. The reasons why women have to fight harder to rise through the ranks in academia and other sectors have less to do with active choices made by men (or even women) to exclude (other) women or to hinder their progress, but instead are due to a belief that one is making assessments based on merits, even when one is being influenced subconsciously by underlying norms. To start with this may seem rather discouraging. What can we do when even the best-intentioned women and men continue to undervalue women’s achievements? What role can gender equality policy play when much of the problem is inside our heads, rather than being structural? [We need] less reliance on student evaluations, which are not only strongly biased towards white men at the expense of women and minorities, but which also do a particularly bad job of capturing actual quality of teaching. Embedded norms are undoubtedly tenacious and have a remarkable ability to survive encounters with external change. A possible remedy that could help promote gender equality is for us to reflect on the fragility and unreliability of our own powers of judgement when we are assessing a person’s achievements. Labour market researchers have long indicated the need for appointment processes to be as formalized as possible, with less reliance on subjective evaluations of applications – precisely to ensure that our implicit biases do not sneak into the equation. Implementing this recommendation in academia would involve less emphasis on subjective evaluations of scholarly competence and potential, and less reliance on letters of recommendation. Not to mention less reliance on student evaluations, which are not only strongly biased towards white men at the expense of women and minorities, but which also do a particularly bad job of capturing actual quality of teaching. Although our cognitive processes are affected by misconceptions, self-deceit and generally poor judgement, it is still not impossible to work to correct some of these errors as we encounter new knowledge. Researchers (generally) respect solid research, which can contribute to these insights being taken seriously in academia. The fact that many people are now producing, sharing and reading these findings both on social media and in recognized journals, is an important step towards greater awareness – a necessary first step on the road towards correction. But given that self-correction has limited potential, especially and precisely since many of these processes may be subconscious or deeply ingrained, it may be wise to use some rules of thumb that aim to correct such imbalances. In that regard, adopting goals such as ensuring gender balance on panels, in public debates and in appointments can be useful heuristic measures – even if one believes that gender equality is not a goal in itself, but that the most important goal is equality of opportunity. In light of our limited abilities to assess achievements free of any gender bias, such rules of thumb may lead to a better correlation between achievement and recognition than our intuitive conclusions. This post originally appeared in Agenda Magasin in Norwegian as “Den usynlige motbakken”. You can read it here. Why Did ISIS Attack Sri Lanka?